Do you need a valuation or appraisal for your corvette? Is this documentation required for insurance purposes, in preparation for an estate sale, or to establish a value in order to sell your Corvette? Perhaps you are unclear about the market value of your corvette? Do you have a special or rare car with unusual options which is hard to value? How much does an original drivetrain impact the value of your corvette? How about paperwork? Does that matter? If are unsure about any of the above questions, the answer is the same for all of them. The experts at VetteWork! A market value approach based upon our expert opinion. After you contact Vettework, an Appraisal Inspection Agreement is forwarded to you to execute. We come to you and appraise the car in-person. 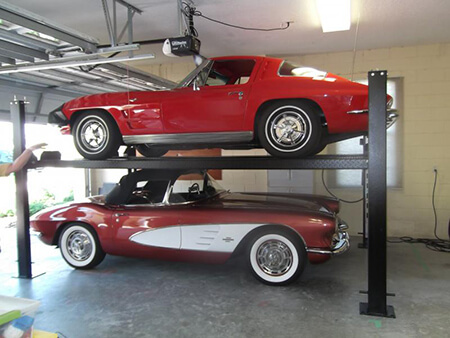 Any lifts or method to raise the height of the car to inspect the chassis is the owner’s responsibility. We will work with what you can provide. Values a corvette based upon auction results without viewing the car in-person. Sends an “appraiser” to do a cursory appraisal in person. Unfortunately this “appraiser” has rarely, if ever, appraised a corvette. This leads to inaccurate values and unfortunate surprises for you. Simply inquire about their qualifications and compare to VetteWork. Ask them how many corvettes like yours they have appraised? Is their next assignment a 1973 AMC Pacer? All we do is corvettes. Go with the experts at VetteWork! Fill out the form below and let us know what you need.